How swiftly it seems to have rolled around again,the annual summer fair on Ham Common in the leafy affluent London borough of Richmond on Thames. 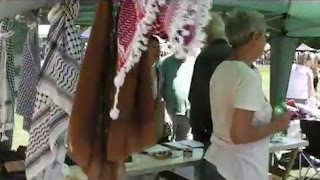 Summer stalls, fun in the sun ... a pleasant day out, following so swiftly on from the Richmond May fair where a keffiyeh-draped Baroness Tonge strutted her stuff on behalf of the local Palestine Solidarity Campaign branch. Yep. 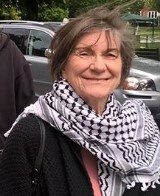 Super pleasant if you happen to be one of the silver-haired middle-class Corbynistas whose "naughties" in their declining years seem to consist of dressing up in keffiyehs and spewing propaganda that demonises the only Jewish State in a world with many Islamic ones. 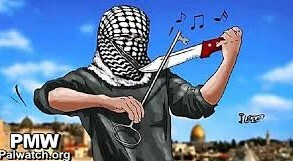 'A recent poll found that 48% of Palestinians interviewed believe that the real goal of the "intifada" is to "liberate all of Palestine." In other words, approximately half of Palestinians believe that the "intifada" should lead to the destruction of Israel, which would be replaced with a Palestinian state -- one that now would be ruled by Hamas and jihadi organizations such as Islamic State and Al-Qaeda. It is notable that only 11% of respondents said the goal of the "intifada" should be to "liberate" only those territories captured by Israel in 1967. The Palestinians do not, according to the poll, have a problem with "settlements" or "poor living conditions." They have a problem with Israel's existence. Palestinians do not see a difference between a West Bank "settlement" and cities inside Israel -- or differentiate between Jews living there. They are all depicted as "settlers" and "colonialists." The PSC's logo eloquently indicates that the organisation's aim is the entire eradication of the state of Israel. 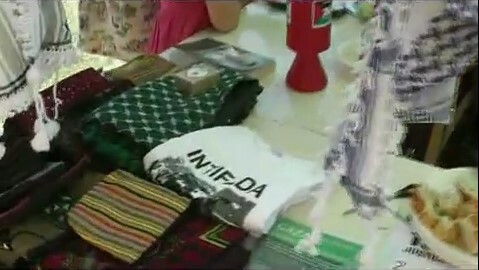 How thoroughly and shockingly obscene that these bourgeois warriors should promote intifada, the killing of unarmed civilians by evil terrorists who target their victims merely because those victims are Jews. And who teach their children to commit murder. "Ham" fair seems terribly inflammatory, which itself is ironic, for the name of an event that celebrates the sharia inspired atrocities and mass murder of Jews globally. Perhaps their branding needs a tweak or two.